The player is due to go on sale in Japan next month. Panasonic will soon begin selling in Japan a Blu-ray Disc player compatible with 4K UltraHD discs, the first such player in the world. UltraHD, also called 4K, has four times the resolution than conventional high definition and is being promoted hard by major consumer electronics companies as a reason for people to upgrade their TVs. 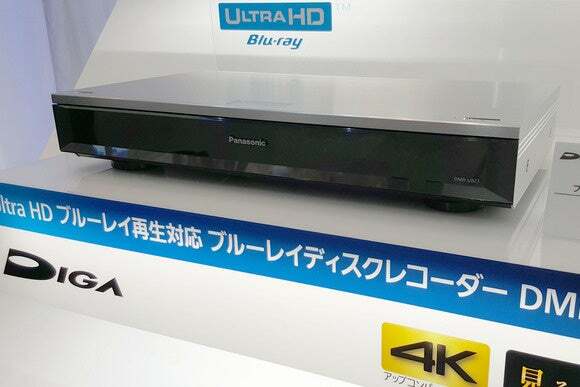 Panasonic’s DMR-UBZ1 Ultra HD 4K Blu-ray Disc player on show at Ceatec in Japan on Oct. 6, 2015. Until now, the only way to get UltraHD content onto a compatible set was through one of a handful of Internet streaming services. Netflix, Amazon and YouTube provide 4K streams for selected programming. 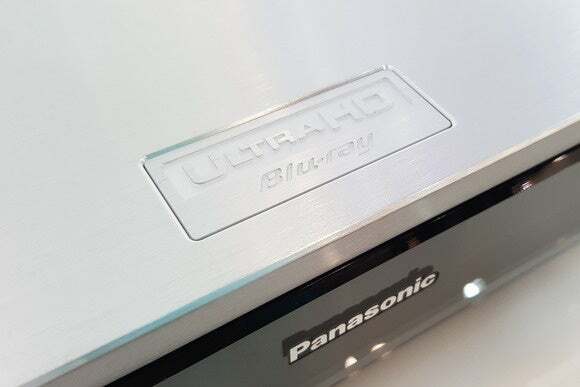 In May this year, the companies behind Blu-ray Disc finalized the standard for UltraHD content on discs and that’s what the Panasonic machine supports. The DMR-UBZ1 will go on sale on Nov. 15 this year in Japan and was on show on Tuesday at the Ceatec electronics show near Tokyo. Samsung revealed a 4K Blu-ray player previously, but it isn’t launching until 2016. It’s larger than some recent Blu-ray Disc players but isn’t bigger than most consumer electronics equipment. The player also packs a 3TB hard-disk drive for recording Japanese terrestrial and satellite TV. It also supports HDR (high-dynamic range) pictures on compatible televisions. 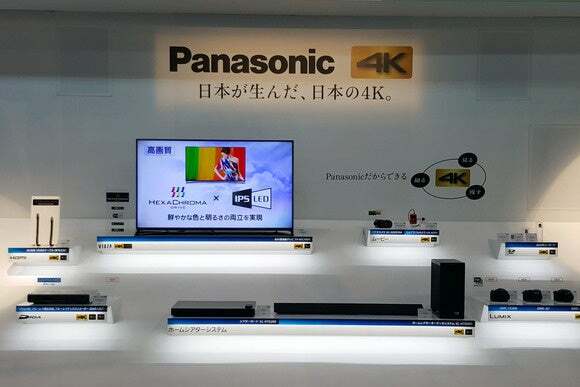 Perhaps as an illustration of the low demand for 4K content at present, Panasonic said it plans to make about 500 of the players per month and will sell them at around 400,000 yen (US$3,327). 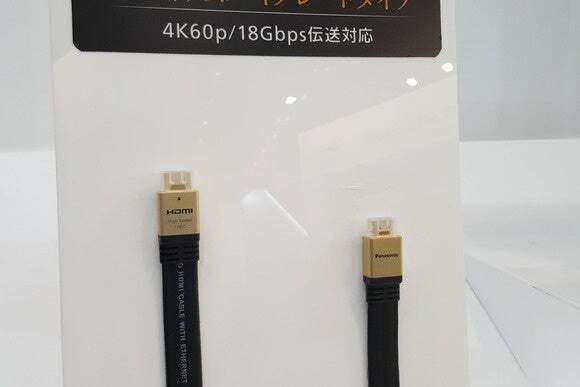 A high-speed 18Gbps 4K HDMI cable on show at Ceatec in Japan on Oct. 6, 2015. Panasonic is also planning to sell some thick HDMI cables, capable of carrying up to 18Gbps. The extra resolution in UltraHD and frame rate of 60 frames per second means it requires much more data than traditional high definition. You might also want to read about the all-new HDMI cable certification program. The player is the latest in Panasonic’s growing family of 4K products. It also sells a television and three models of digital camera that can shoot video at 4K. 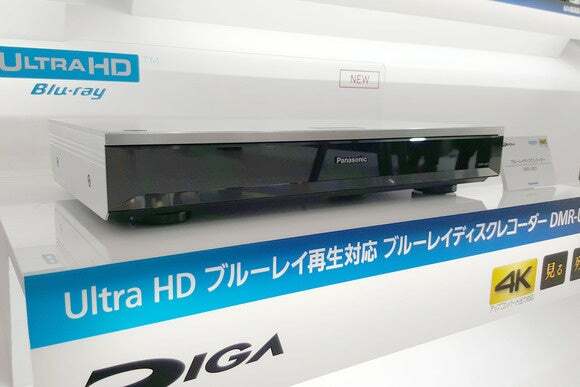 Panasonic’s 4K-compatible products on show at Ceatec in Japan on Oct. 6, 2015.